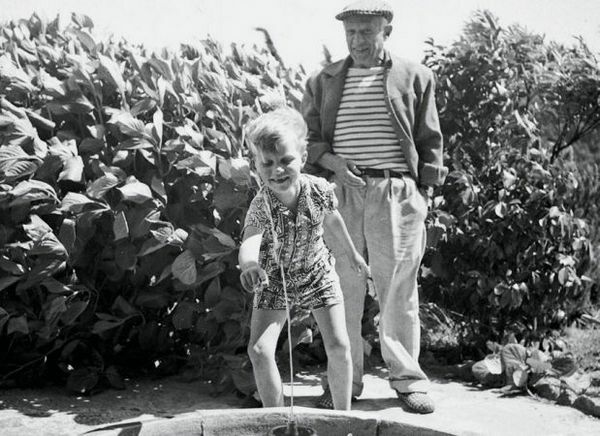 Tony was a little boy with a special friend—a world-famous artist by the name of Pablo Picasso. And so unfolds the extraordinary memoir of Anthony Penrose. The son of photographer Lee Miller and painter Sir Roland Penrose, Tony shares his childhood memories of one of the world’s most famous artists in The Boy Who Bit Picasso. More than sixty-five illustrations accompany the text – an incredible mix of photographs by Lee Miller of her family and Picasso as well as sketches, paintings and sculptures by Picasso. I really enjoyed the fact that the book reflects Penrose’s mish-mash of memories without forcing them into a ‘story’ as such. 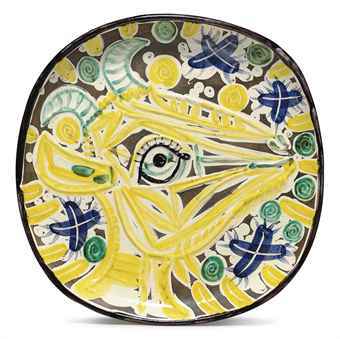 Children’s memories of events often involve all the senses and Penrose’s recollections of Picasso are evocative. For example, we learn that Picasso wore a tweed jacket that “…was nice and scratchy. He smelled good, too. He smelled of cologne and French tobacco.” Penrose also talks about Picasso’s family, including his wife Françoise Gilot who Penrose says “…was very kind and gave us delicious chocolate treats to eat when we went to visit”. Things that make an impression on children are often quite different to things that make an impression on adults. And again, this is why Penrose’s account is so endearing – “Esmeralda was Picasso’s pet goat… Esmeralda slept in a crate outside Picasso’s bedroom door. I thought this was great. At home I was never allowed to bring farm animals inside the house.”. This text is accompanied by a photograph of Esmeralda, the 1952 ceramic series, Goat’s Head in Profile and a photograph of a goat sculpture in Picasso’s garden. It is vignettes such as these that make The Boy Who Bit Picasso such a pleasure to read. I have seen a number of Picasso exhibitions but learned more about the artist from this lovely book than I ever had previously. And in case you are wondering, Tony really did bite Picasso. And Picasso bit him back! 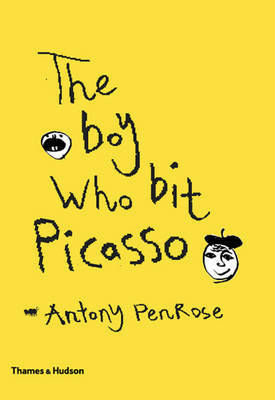 The Boy Who Bit Picasso is available from Fishpond for $11.25.